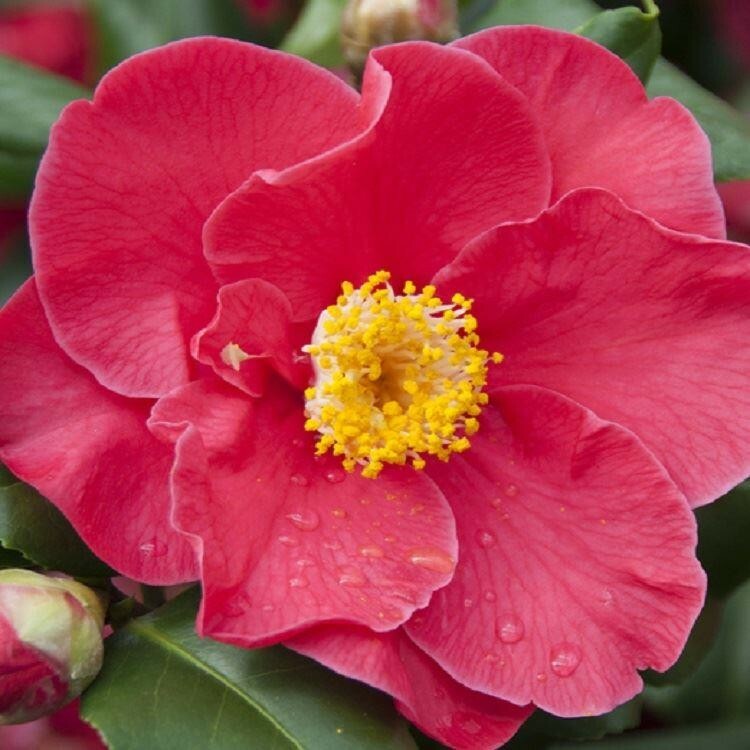 The Camellia Dr King is a wonderful variety to have in your garden. He is a beautiful late winter flowering shrub that will add a vivid splash of colour when little else is on bloom. Dr King bears glossy, dark green, foliage that being evergreen can provide real structure to the garden in the bleaker months. The profusion of showy, semi-double, light-Red, ruffled blooms emerge in late winter through early spring to dazzle all garden guests. 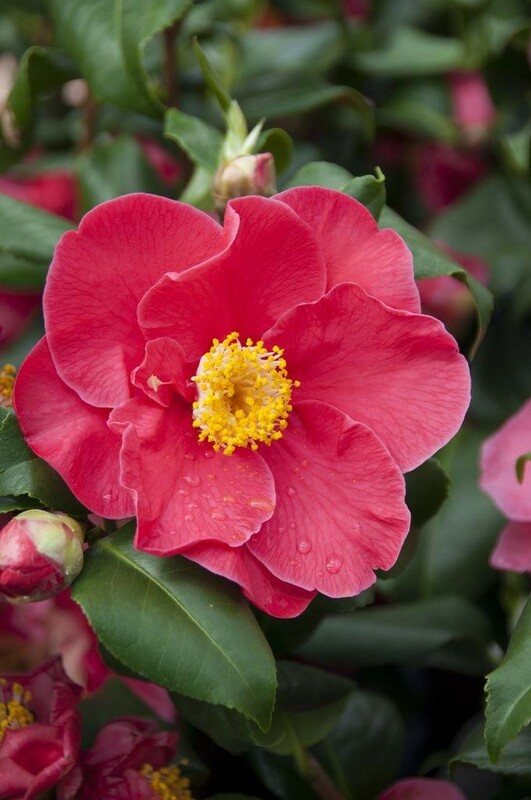 Camellias are ideal for any garden and also great for containers or pots on the patio. Supplied in approx 3 litre containers.